This anti-bacterial, spray on cleanser from Pipedream is an excellent way to keep all of your personal toys clean and hygienic. 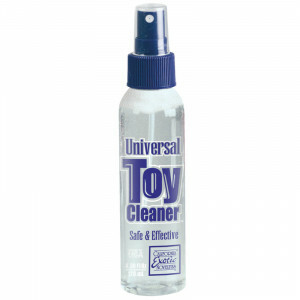 The mild cleanser is safe enough to use every time your toys need cleaning, but strong enough to disinfect all surface bacteria. 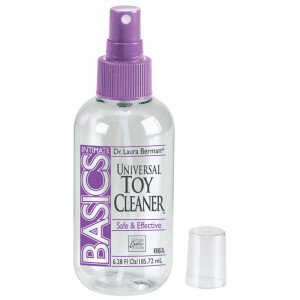 The convenient spray bottle can be washed and refilled when empty. This trigger action bottle toy cleaner is quite satisfactory but sometimes can get a bit messy. 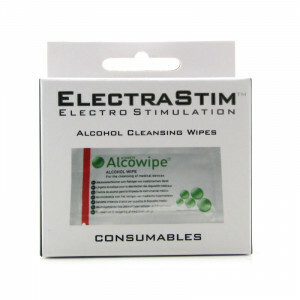 This is because the liquid is dispensed in a thin stream and when trying to clean dildos it can get a little irritating. Overall it is a good price and if you don't mind the mess, don't hesitate to purchase. Come on all out there great stuff and what a better way to make sure there's no infection from having fun so I relax and enjoy my activities.